Austin-Healey’s famous “Bugeye” Sprite was a low-cost and tiny no-frills open sports car that was intended to be affordable fun. The British Motor Company (BMC) got the mix right as the model quickly became a sales and sporting success. Nearly 50,000 were sold from 1958-1961, with the overwhelming majority destined for export to North America. 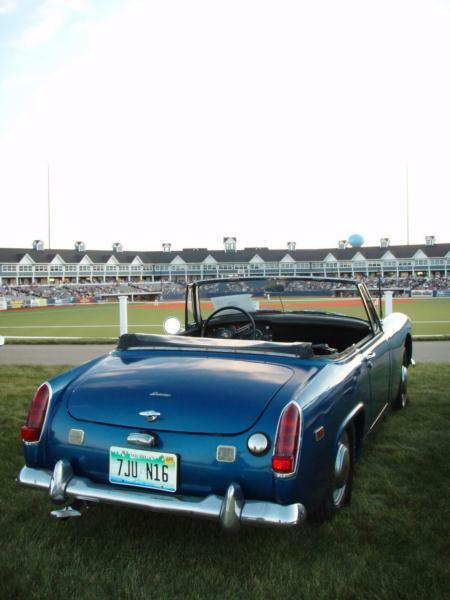 Building on this momentum, Austin-Healey updated the Sprite for the 1962 model year. The Mk II Sprites initially ran with virtually the same 948-cc A-series OHV 4-cylinder engines as before, but by October 1962, the longer stroke 1098-cc version was adopted, allowing a power increase from 46 bhp to 56 bhp. The car’s outright straight line speed was limited by this engine’s displacement and power, but its light weight and low center of gravity made it a terrific handler, and the Sprite earned a reputation on the rally circuit. 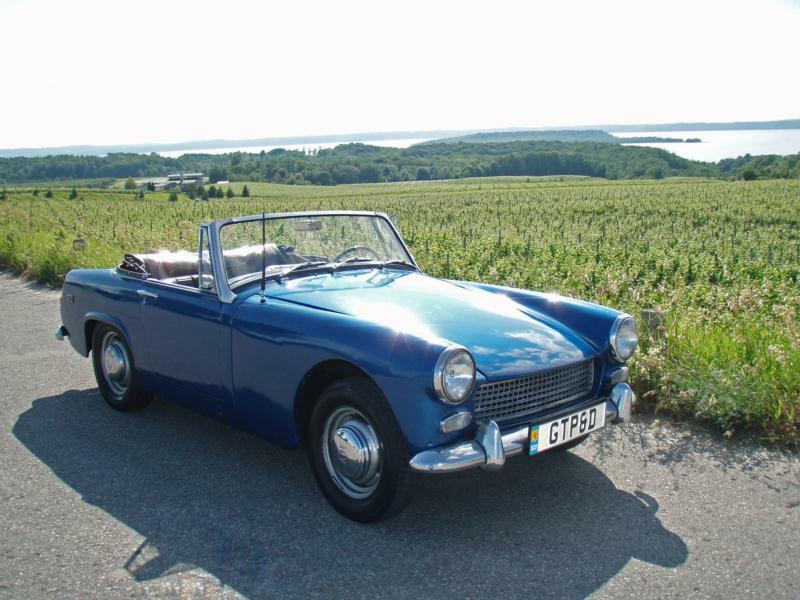 By 1964, a series of revisions announced the Mk III Sprite. A new curved windshield was employed, as were roll-up side windows, exterior door handles, and a revamped engine that had 3 additional bhp and larger main bearings, thereby enhancing longevity. The rear suspension was updated and improved at the same time as well. The Mk IV Sprite arrived in October 1966, most notably with the new (and detuned) 1275-cc engine that was used on the Mini Cooper S. Power output was raised to 65 bhp in the process. By 1969, big Healey cars had been out of production for two years, and the dealer network in the US had dwindled to the point where marketing the same car under two brands was a challenge. With MG’s successful MGB still selling well, the Sprite disappeared while the Midget soldiered on. Today, later Sprites are much cheaper than Bugeye Sprites and still deliver much of the same driving experience, which makes them good bargains. Purists tend to prefer the Mk II Sprites (1962-1964), while practical-minded owners prefer Mk IIIs and Mk IVs, mainly due to their enhanced weather protection and more comfortable suspension setup. Any of these choices are relatively easy to own and work on, with parts being easily available and mechanicals being straightforward. Performance enhancements are popular with these cars as well, which makes them interesting choices for rallying.